Afternoon in Slavyansk. A large group of heavily armed Pro-russian separatists prepare for street fighting. They are being led by a woman in civilian clothes. 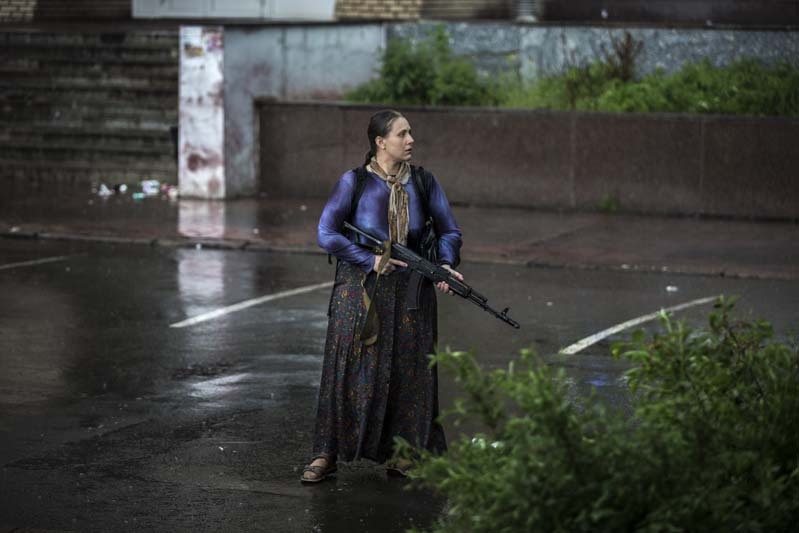 A few months later she is captured in an firefight with the Ukrainan army. She turns out to be a member of the FSB (former known as KGB) by the name of Olga Kulygina. She is taken to Kiev as a prisoner.